Dicumene(Perkadox 30, Nomfer BC, CCDFB) is an environment friendly replacement for Antimony Tri-oxide (Sb2O3) and is commonly used as a flame retardant synergist for polypropylene and polystyrene, especially in expandable polystyrene (EPS).Dicumene(CAS:1889-67-4) can decrease the dosage of brominate flame retardant additive evidently,such as HBCD especially in XPS. It can also be used for the mass polymerization of styrene.We have this product REACH registered. 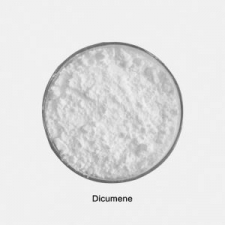 Dicumene can be used with brominated flame retardants for preparation of polymers, particularly polystyrene and polypropylene. Dicumene will not decompose during polymerization or extrusion procession, and it can reduce the dosing levels of brominated compounds used. Dicumene is a radical initiator for the crosslinking of polymers at high temperature. Store in cool place, keep container tightly closed in a dry and well-ventilated place. As a manufacturer, Wuxi Zhufeng Fine Chemical Co., Ltd has successfully established close relationship with the customers in more than thirty countries and regions of the world and gained great reputation among the clients. We have our own factory and manufacturer of different products. With the advance technological and self contained exam amenities, our best products come first in the stable quality in Chemicals, Cosmetic raw material, Herbs, health Raw Material. 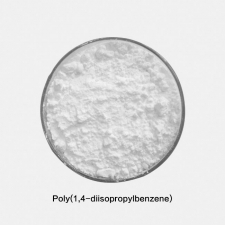 We are expert in product 2,3-dimethyl-2,3-diphenylbutane. Also our 3-diphenylbutane is well known all over the world. Flame Retardant Synergist: We have on plant for the Flame Retardant Synergist projects. So if you are interested in any of above product please contact us at our customer care services and get the best quote for your requirement.